Well its time to build something new. 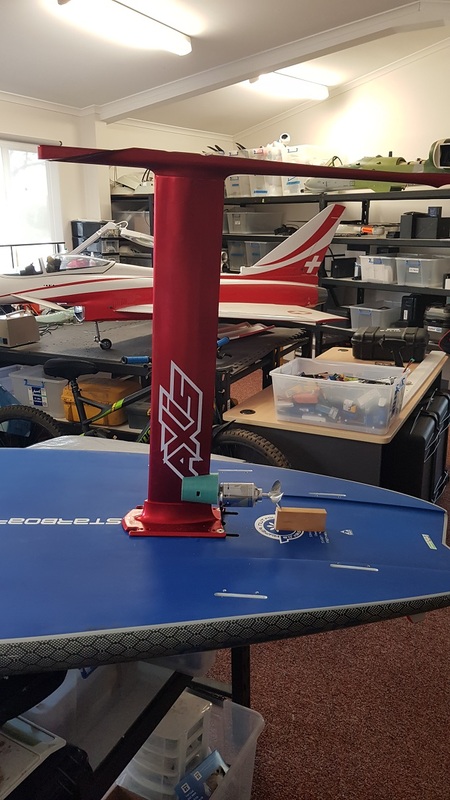 I have been building my own electric surfboards for 10 + years and really enjoyed the process and the ease of surfing with some extra boost to get me out the back and on the waves. So now I’m into foiling and im in love ! After learning to ride the foil behind my boat (11,000kg 40 foot power boat ) it gave me the opportunity to learn to ride and also SURF the waves. After achieving free surf NO rope properly for the first time on the weekend its made me re think by e foil approach and spawned this new design. So I will now be building 2 sperate E foils to do very different things. 1: will be conventional efoil, submerged prop for long range high power riding. Which I will use on of FR motor / mast on 12 S to get straight into this with less tinkering needed. 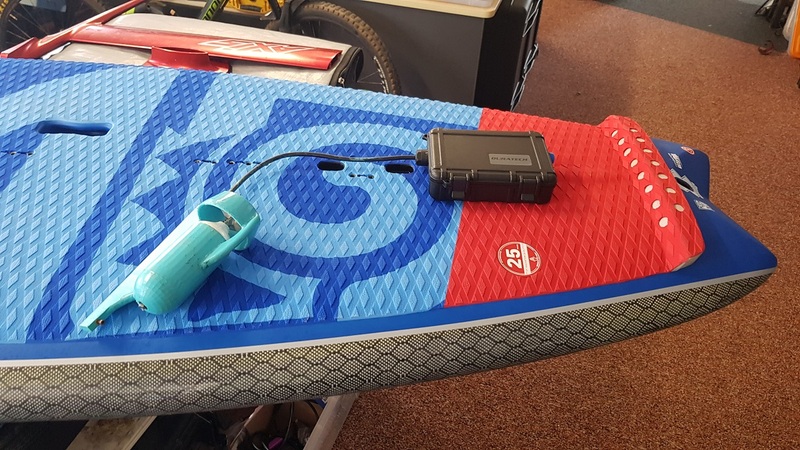 2: A surf dedicated setup for Sup paddle foiling with a boost! A small , light weigh wet and Dry motor setup ? What I intend to do is mount a small 50mm 650 gram out runner with a and a 60 – 65 mm prop as close to the top of the bard as I can and run it on 700 – 900 watts MAX. Why ??? 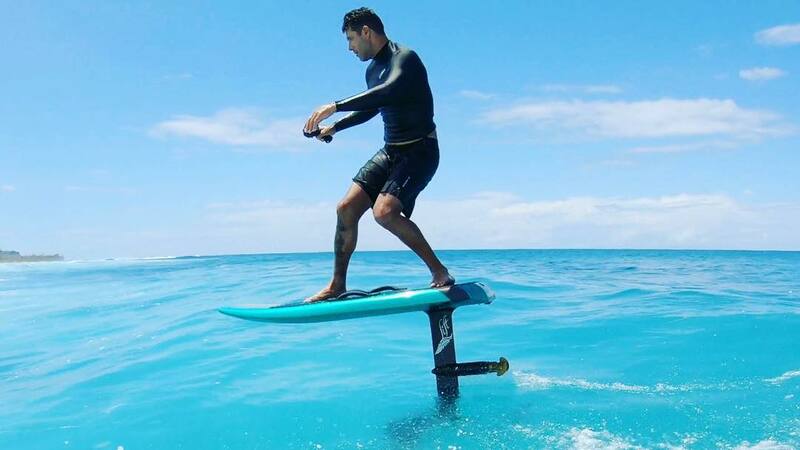 well I want a board that I can foil in the surf without the drag and disturbed water flow that a lower wet motor system will always induce. The idea is when im paddling out the back to get to the no break zone I want help / boost to do that and reduce the time it takes to get in and out of the wave section. The motor will also help improve my surface speed to me get onto waves earlier as my paddling technique is far from perfect. 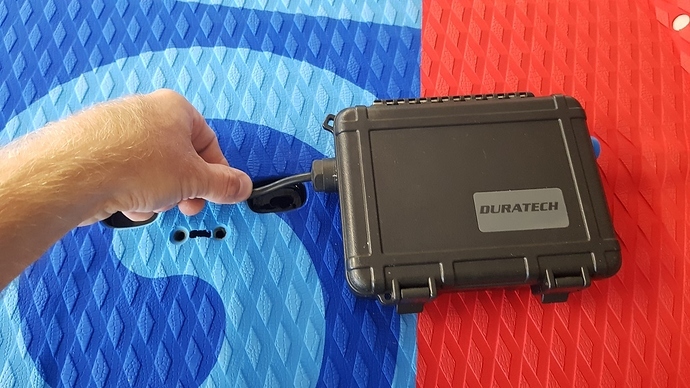 Once im up on the foil the motor will become airborne and trun off and most importantly no longer interfere with the water /wave giving me back the pure wave riding feeling I have felt behind my boat. Further to this my current SUP has a hole in the board that is perfect for running some wires up into a battery / ESC box that can mount to the surface of the board without any permanent modifications to the board needed. So I can try lots of different combos and still remove the system completely at any time + the mast doesn’t need to be modified in any way either as the wires are external. 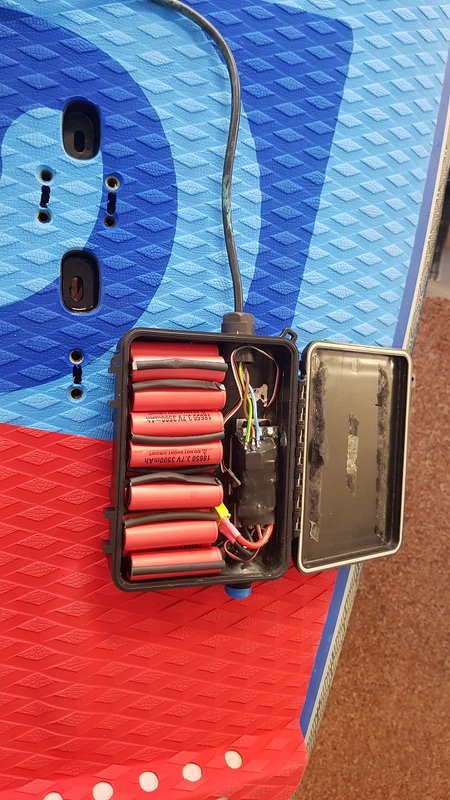 Battery system will be bigger though. 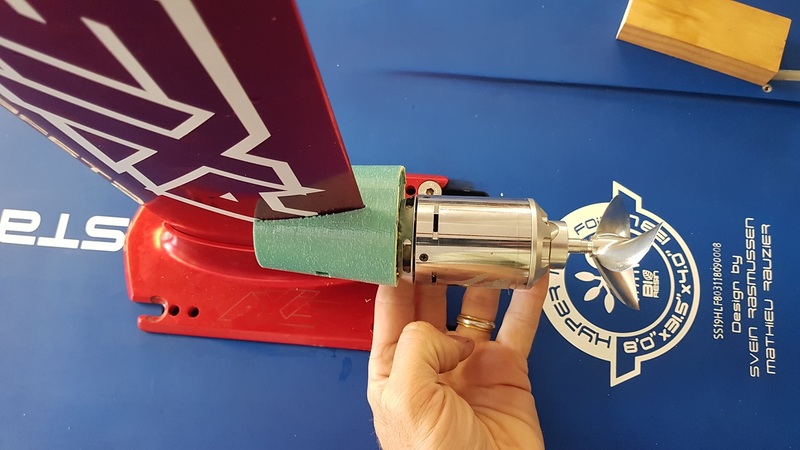 I have just flown out for a 8 day work trip so progress wont start till then but im excited to give this a try as foiling on a wave without drag is something I want try. NOTE : the green 3D printed mast bit in the photo is an off cut to hold the motor ONLY for the photo. Plant to make a smaller mast clamp version like the other out runner builds. this is definitively the future! A little boost is all that is needed, have been thinking about this a lot, but never got the time to start build one. And not to many foilboard waves close to where I live. looking forward seeing how it works ! I’m also on the same page as you. I am gathering parts for my second build which will be my surf SUP. I have decided to go for a jet unit built into the board that will give me 2000w. I look forward to reading your build. Sneaky…I missed that post somehow. Lift is definitely reading these forums. 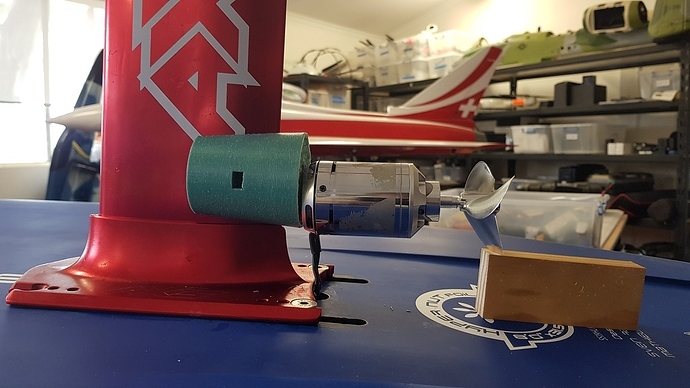 A jet pump is an even cleaner solution not to mention extremely safe so good luck with that one. Ok so sorry for the lack of reply but work got in the way. 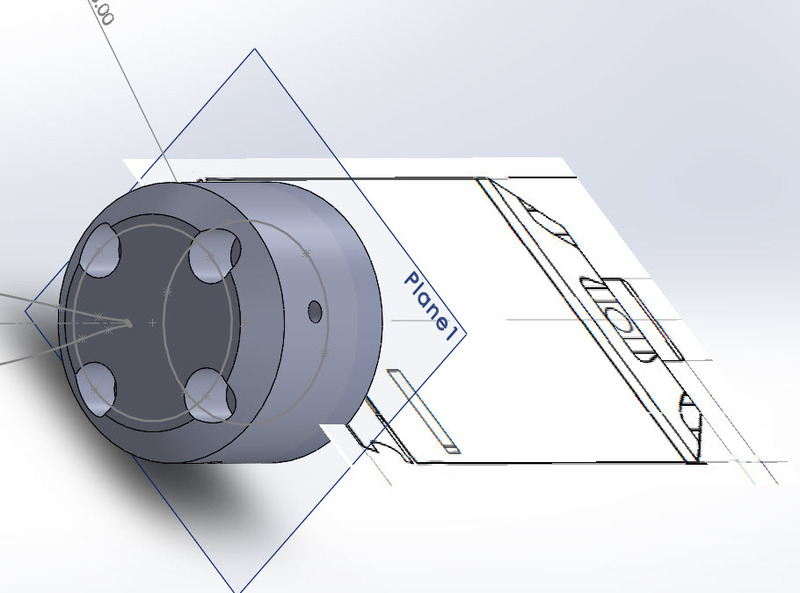 I recently after 12 years of using Auto CAD finally made the switch over to Solid works and am very new to it so excuse the rough model but this is what i have made so far. I sent the file home for printing while im away and should be able to get photos of them tomorrow and get the wife to test fit the part before my return. i want a simply slide on and off system with NO external bolts facing forward but a simple grub screw or 2 to hold its height on the mast. Down the back you can see there is a 3D printed motor PUCK that screws to the back of the motor. From there the Puck goes into the motor mast and then is secured into place with 4 screws on the outside. This way i can release the entire motor quickly and clean it / oil it after each use without any stuffing around. I can even hit it with compressed air and then dunk it in corrosion X ! 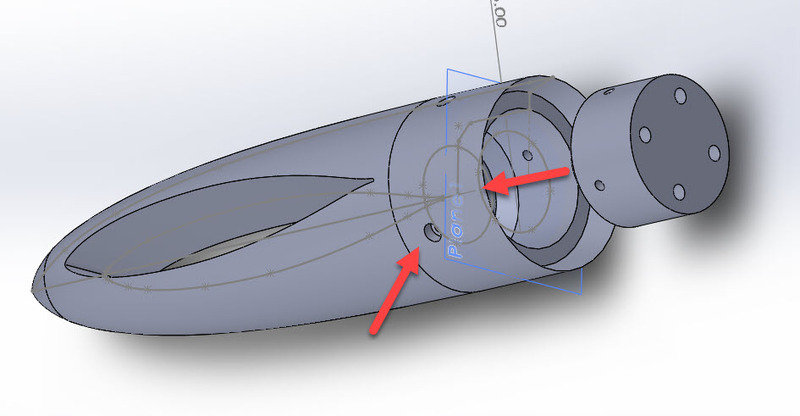 Solidworks rocks for 3D modeling. And for machine programing Mastercam is the best.The end!